AGOA Games! | Games that are so addicting that your life will be ruined forever, or your money back! So I haven’t updated in a while! This is due to the rare medical syndrome “lethargy”. Lots of stuff has been done! Sort of. 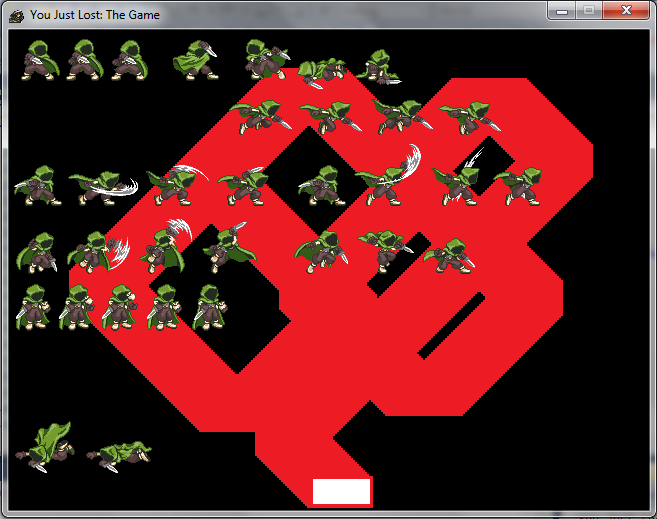 Today I made it so the enemy can attack the players in the battle screen. becuse these babby cant frigth back? I’ve been working on the enchantments. They aren’t done. Vadim has been working on spell file reading. It’s not done. 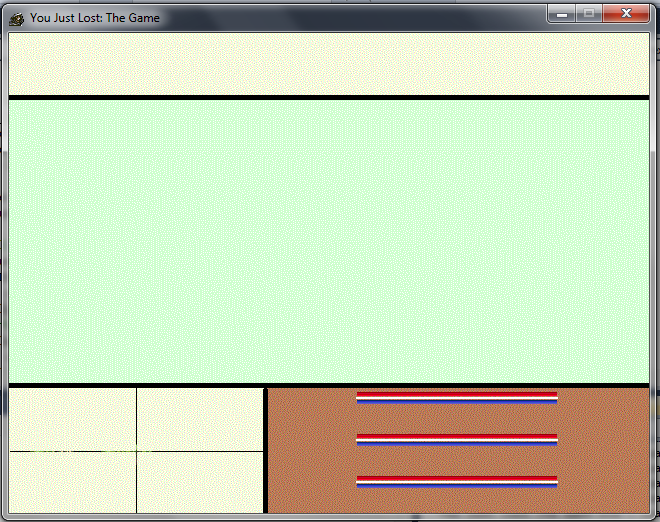 Reece has been working on sprites. They’re almost done! We’ve been playing a lot of TF2 lately. But we’ve also been working! Eat a pizza, make another free. Download today guys! AW YEAH. 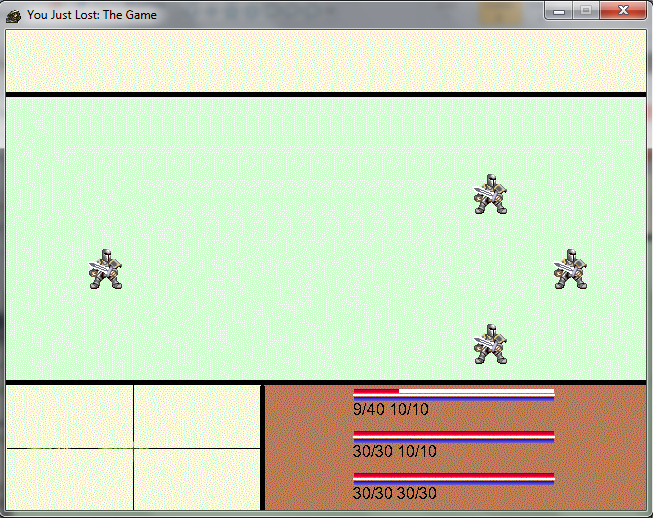 The battle scene seems to be coming together quite nicely. Here, exclusive to you, is a top-secret look at the development of this amazing new technology. 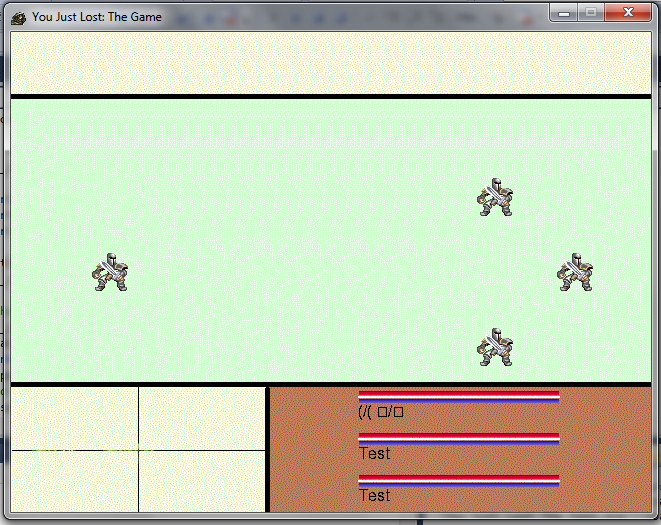 I started coding the battle screen this week. It looks really bad!